My friend and former student Margaret Schultz reminded me of this seminal book! (Thanks, Margaret!) Back in 2008 when I set out on my sabbatical, I knew that I wanted to begin t o learn about food, so I dragged this book along with me across Europe, reading and eating as I went. (The appalling state of some of the pages testifies to my skill at reading while eating!) This is the definitive book about where food comes from; Pollan traces out the origins of the key ingredients of four meals, and in the process writes a social history of American eating. It is fascinating, in places stomach-turning, and utterly persuasive that we do indeed have a national eating disorder. 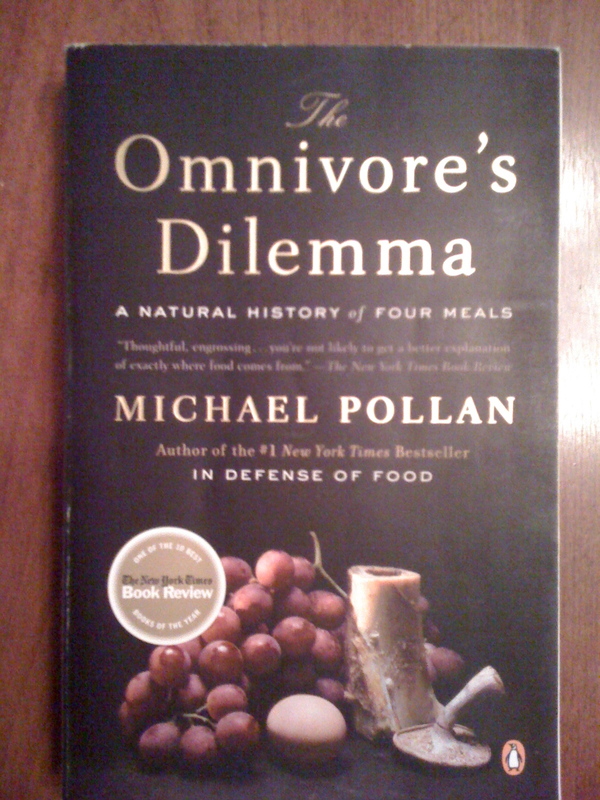 He argues that eating is an agricultural act, “an ecological act, and a political act, too.” And finally, he says, “this is a book about the pleasures of eating, the kinds of pleasure that are only deepened by knowing.” If you have a five-foot bookshelf, be sure to reserve a spot for this book!